I think this may be replacing the G-series SSL I've had on my Master buss for years......what a killer compressor. I've used and owned the hardware versions of the Neve 33609 since they were first available. Without doubt, this plug-in is indistinguishable from my favourite hardware. There hardly a broadcast mix that wouldn't benefit by using this across the final output. A work of genius in emulating the work of a genius. I love this compressor. Not too much more to say but you can use it on a master fader, drum buss, stems. You name it, it will make it sound better. I especially like using it as an aux compressed buss. Take all the instruments you want to compress and send them out through a stereo aux send, this allow you to mix a separate mix for the compressor. send this to the Neve and slowly add the compressed mix back into your un-compressed mix. You will hear the mix get louder but if you are careful and watch the stereo meters you will hardly see any increase in level. I usually leave out vocals, BG's and any lead instruments. WOW!!! Finally, a go-to 2 bus compressor. It adds a fullness to a mix. It fills and rounds out the low end without getting boomy. Great glue effect as well. Started using this plug in on just about every buss. The master buss the mix takes on a "sheen" and an "air" that I remember some of my favorite recordings having. This is a must have plug in for anyone looking to add the Real Glue Factor to their mixes. Thanks UA! Even now, all these years later, this compressor still holds it's own above any plug in compressor I have heard. It's not hardware - but it somehow wraps the signal in a way all other plugin compressors seem incapable of managing. Perfect for natural instruments such as Piano or Strings - but also great on the drum bus - this plugin is one of a kind (and, unlike some other UA compressors there is simply no peer at the moment). In my subjective A/B comparison of the Neve 33609 and the Fairchild plug-ins, the Fairchild has a ton of features that allow you to add dimensionality (sense of space) and all the harmonic warmth you could hope for. While it allows for some psychedelic coloration of your sounds, it can never tone down the palette enough (for my taste) to invisibly bind a mix together. 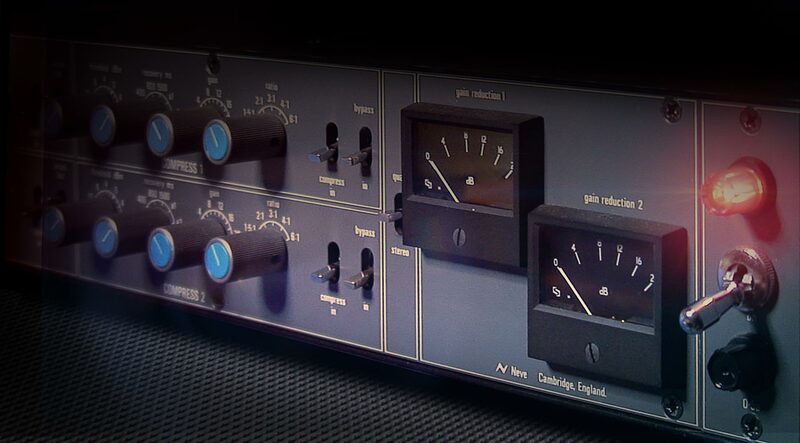 The Neve 33609 is a near-perfect stereo mix compressor plug-in. It allows me to finally relax and achieve the sonic results I hear in my head. Warmth, air, cohesion, sculpting, all subtly and artfully splayed into a unified whole - the Neve makes it happen. The Pultec-Pro, Neve 1081, and the 33609 on the Master channel bring the solid shore to light through the audio fog. Evil, evil people. I activated the demo of the Neve 33609. I was forced to scrape together the 249 bucks before the two weeks ran out cuz I could not work without this on the master bus. I have upgraded my studio in the past 6 months and so I am re inventing the wheel here and I have been adding more and more UAD plugs, I had been using the T-Racks matering system and this was leaving a more colored compression on the tracks, but the Neve 33609 is clean and just sits on the master bus adding shine and brightness to the master. I love this and it is just the mest master compressor that I have ever used. Thanks so much, but you are still evil, evil people. I have the hardware and this is somewhat of an exaggeration labelling this an emulation of the real thing. There is something wrong with this plugin, I'm not sure what it is. It's close but no cigar from me. The more gentle you are the better it performs. But you can slam the hardware and it still sounds "correct". Until you can do the same with this plug in I have to be honest and say it falls way short of the mark. I think Neve gave UAD some dodgy circuit digrams to model this. I'm sure there are users out there who worship it. But it doesn't react like the hardware when slammed, so what's the point? The plugin imparts a certain lifelessness that the hardware doesn't. The UAD SSL G buss compressor is a much better emulation IMHO. Serieusement je suis triste parce qu'il coute trés cher !! Je viens d'essayer le NEVE 33209, je l'ai trouvé exellent. Il reste à ma connaissance l'un des meilleurs compresseurs en matière de plugins. J'utilise beaucoup de plug ins de diiférentes marque, mais je peux vous assurer que celui-ci vient en tête de mes préférences pour l'instant. Great compressor for punchy percussion! I simply love this compressor! i am a soundtrack composer and this is my go to when i want to get more punch and groove out of my percussion. Thank you! 33609 plugin done right! thank you so much for this. my need to repurchase the real deal has gone thanks to this plugin. Very three-dimensional sound, adds a thickness and depth to anything. Amazing on Drum buss, Guitars, Piano - but not realistic for me on everything - on a 50+ track mix my UAD Quad starts showing some effort with 6-7 instances (of course along with a hundred instances of other plugs). So I've got it on the master buss, drum buss, those seem to be where it matters the most for me. The "middle to left to right" signal chain is a little confusing, but works - make sure to try pushing the compressor gain in to the limiter/master to really thicken things up. Really awesome piece of kit, like all the newer and v2 (and higher-cpu) plugs, this one is excellent. I really want to love the 33609. It does what it's supposed to do but it's not magical for me. My biggest complaint is the size of the lettering & numbers on the face plate. They can be a little hard to read. Could you please make enlarging the surface an option? Maybe I'm just getting jaded?